So, you’ve decided that you want (or need) to install new windows. Maybe you’re building a home, or perhaps you’re doing a renovation. Whatever the project, it’s important to find the right window installer for the job. If you’re new to the world of windows, choosing the best ones can be stressful. After all, there are so many materials and designs to pick from. You also need to take the time to prepare for a window installation. Find a window installer that has plenty of experience. This way, you can be sure that they know how to handle a wide variety of situations. The team should also be able to answer your questions with ease. Remember, window installation isn’t just another DIY project or casual repair. It should be done right the first time, without fail. An experienced window installer will be able to deliver just that. When it comes to new windows, it’s essential to work with a company that offers a diverse range of options. This will increase the chances of finding what you want and need. For example, do you want aluminum or vinyl windows? Do you want textured or tinted glass? Are you looking to control noise pollution, or do you need windows in a unique shape or size? With so many features to choose from, the possibilities are endless. The right window installer, however, will be able to create a window that checks all your boxes. It’s crucial to remember that windows don’t just give you a peek to the great doors. They can control the flow of heat and cool air, too. Therefore, it’s wise to pick a company that offers a variety of energy efficient windows. They should also have the equipment, supplies, and skills to properly install a window that keeps cool air in and hot air out — especially when you live in Arizona! It’s the best way to prevent unnecessary air leakage, and most importantly, an outrageous energy bill. The type of energy efficient windows also matters. For example, in Phoenix, windows with a special Soft-Coat Low-E coating are preferable. These windows reflect a majority of solar heat back outside. Thinking about energy efficiency might seem like an extra task, but it will save you money in the long run. Plus, if you’re overwhelmed by the options, an experienced window installer should be able to guide you through the process. We all know what it’s like to do business with the “big guys.” For the most part, they have a reputation of treating customers like just another a number. This holds true for a variety of companies, including groceries, restaurants, and retail stores. It’s no different with window installers. When you choose a local window company, you work with actual people that live in your neighborhood. You’re also more likely to receive one-on-one attention, too. This isn’t to say that the corporate companies can’t get the job done. But when it comes to your home, you can be sure that a small local window business will truly care. XO Windows is ready to start your project. You’ll be glad to know that you can find the right window installer in your own neighborhood. As a Phoenix-based company, XO Windows has been dedicated to helping local customers since 2008. 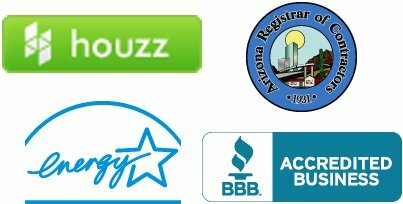 We’re also the largest window distributor in Arizona. With a comprehensive selection of windows and doors, you can be sure we’ll be able to provide something that suits your style and budget. Let’s talk about your new window installation. Contact us at 602-396-4825 for a free estimate today! It’s hard to imagine a house without windows. They let in natural light, bring in fresh air, and allow you to enjoy the outdoors. Without windows, your house isn’t a home. This is exactly why broken windows need to be replaced. Maybe the last storm was so strong that debris flew into the glass. Or, maybe the kids got carried away while pitching baseballs. Whatever the cause, damaged windows are unpleasant to look at. They’re extremely unsafe, too. However, a broken window isn’t the only scenario that calls for a replacement. There are many reasons you may need a window replacement, even if you aren’t buying a home or doing a renovation. 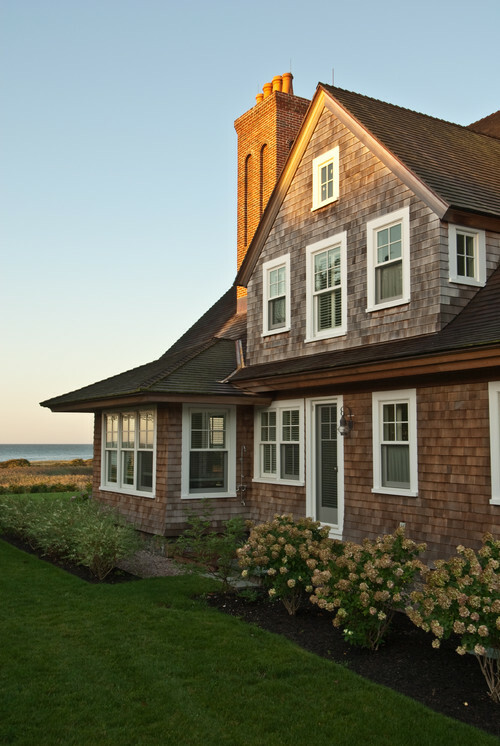 As a homeowner, it’s important to know the benefits of swapping out old windows for new ones. Selling a home can be stressful. A potential buyer considers many factors, from local parks to school districts. And while you can’t change their wish list, it’s possible to make your home more desirable. Do your house a favor and get a window replacement. By doing so, you can instantly improve your home’s worth. In fact, according to The National Association of Realtors, homeowners can recoup 74 to 79 percent of the project cost upon resale. Keep this in mind even if you aren’t planning to move soon. Window replacements can significantly increase curb appeal and turn heads. When you are ready to sell the house, your updated windows will be a major selling point. After a long day at work, there’s nothing better than relaxing in a temperature-controlled room. But if your windows are poorly insulated, you’re bound to have air leakage. The result? An expensive energy bill that zaps all the hard-earned cash you just made. A window replacement is the best way to reduce your cooling and heating costs. Specifically, this means opting for more energy efficient windows that control air flow. 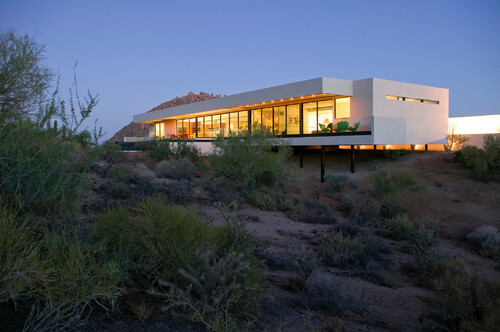 In Arizona, the most efficient windows keep your home cool during the hot and humid summer days. They should also reflect solar radiation and stop cool air from sneaking out. On chilly winter nights, these windows should also keep heat inside. Energy efficient windows are great for your bank account. 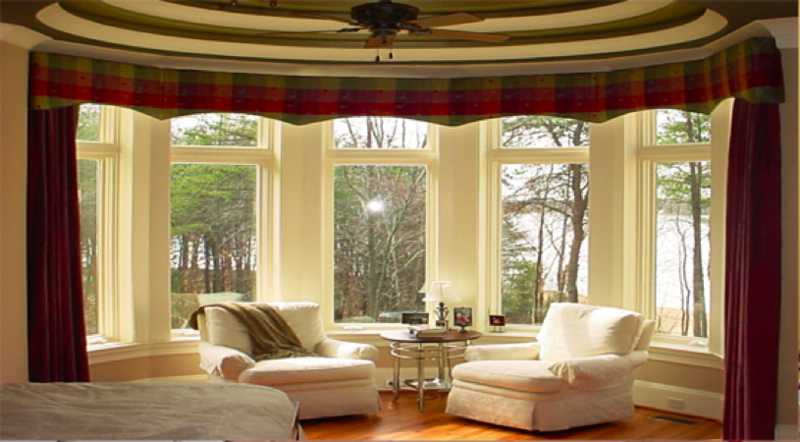 To determine the best window replacement for energy efficiency, talk to professional window company like XO Windows. In a busy neighborhood, barking dogs and honking cars are a part of everyday life. But if it’s so loud that you can’t sleep or talk on the phone, you might need a window replacement. Noise pollution is most common with single pane windows. Because these windows are made with one pane of glass that is less than ¼ inch thick, noise (and air) can easily pass through. A window replacement is an excellent way to reduce noise pollution. Typically, this means taking out the single pane windows and installing double pane windows. Two panes of glass does a better job at keeping noise at a bay. This simple swap that can decrease noise by 25 to 50%! Talk to the experts at XO Windows. As the largest window distributor in Arizona, XO Windows is ready to answer your questions about window replacements. Tell us all about your style, needs, and budget. From there, our team of professional consultants can explain your best options. Request a free estimate online or call us at 602-396-4825. Windows add so much personality to our homes. Aside from connecting us to the great outdoors, they fill each room with natural light and fresh air. It only makes sense to treat windows with care. This includes knowing when it’s time to replace aluminum windows, if you have them. But what if you’re not sure where to start? 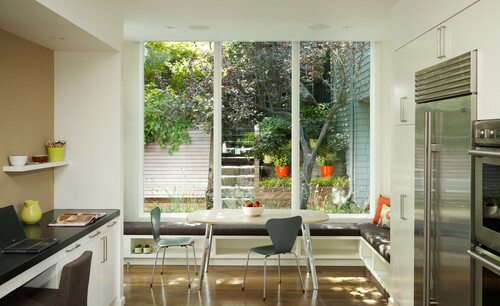 Whether you’re due for an upgrade – or simply curious about installing aluminum windows – there are some things to keep in mind. Here’s everything you need to know. Aluminum windows have pros and cons. Aluminum is light yet sturdy. It’s also easy to manipulate, making it ideal for windows with unique shapes. Most importantly, aluminum windows with thermal breaks are energy efficient. This is perfect for temperature control during hot Arizona summers. While aluminum is strong, it can dent easily. Paint and coating can also chip off, exposing the aluminum underneath. Compared to vinyl, aluminum windows need to be frequently lubricated to help sliding tracks move smoothly. When is it time for a replacement installation? If aluminum fits your needs and style, it’s essential to replace your aluminum windows as needed. Consider it as an investment that will improve your home’s curb appeal, value and energy efficiency. Damaged windows should always be replaced. Over time, corrosion can spread and destroy the structure. Cracks can also ruin a window’s performance, aesthetic and ability to keep out insects and critters. Arizona is no stranger to the heat. But when your windows are old and leaky, the cool air from your AC will have an easy way out. Eventually, your bank account will take a major hit. Air isn’t the only thing that can flow through outdated windows. Noise from traffic and bystanders can fill your home – even if the windows are closed. If it sounds like people, cars or animals are in your house, it may be time to replace your aluminum windows. Don’t ignore condensation between window panes. This means that outside moisture is trapped, and the windows aren’t doing their job of keeping it out. XO Windows is ready to help. Does this list sound familiar? Prepare for a replacement window installation by clearing the area and removing window treatments. Next, get in touch with XO Windows, your professional window consultants. We’ll explain your options and answer any questions. And as Arizona’s largest window distributor, we’re qualified to help you select the best replacement windows for your specific needs and budget. Request a free estimate or contact us at 602-396-4825. We can’t wait to work with you. Living in Arizona means living with monsoon season—nearly four months of turbulent weather that can bring everything from high winds and hail to dust storms and flash flooding. And let’s not forget lots and lots of rain. For homeowners, taking a few extra precautions before and during the season can go a long way toward making it to autumn without sustaining any major damage, especially when it comes to your windows. Here are a few simple tips to help your windows weather the storm. Trim trees and remove dead vegetation. It’s something a lot of homeowners forget, but those high winds we talked about can dislodge dead branches, knock down trees, and kick up debris in your yard. If too close to your home, you could be dealing with broken windows as well as resulting water damage. 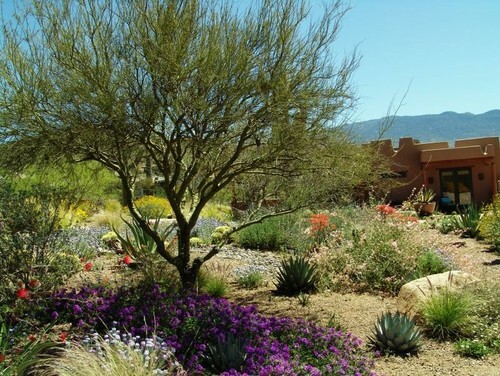 With monsoon season already underway, you may need to wait for a calm day before you head out to do some precautionary landscaping. Do a thorough assessment of your yard, especially the areas closest to your windows, and remove any potential hazards. Know when to close your windows. Summer weather in Arizona is unpredictable. One moment the sun is shining and the next it looks like the end of the world outside. Always close your windows before leaving your house to prevent damage from a sudden storm. And even if you’re home, close them at the first sign of bad weather to be on the safe side. Make sure windows are properly sealed. Monsoon season is synonymous with moisture. Heavy rains, coupled with severe wind, can take a toll on your windows, but so can prolonged condensation. Make sure all windows are properly sealed to prevent water infiltration, and fix any gaps or areas of weak sealant. If water does get inside, be sure to wipe it up immediately to avoid the potential for structural damage and mold. For older windows especially, withstanding extreme weather conditions can be a challenge. 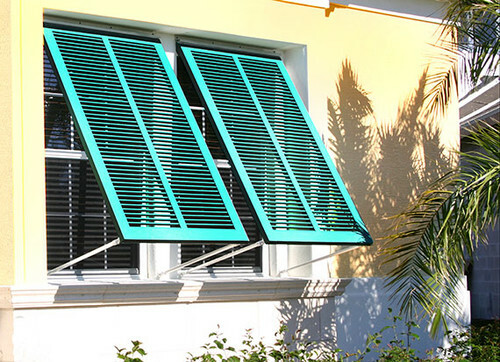 If you never got around to replacing them with a more weather-safe alternative before the start of the season, storm shutters may provide added security and shield your windows from damage until they can be replaced. Not sure if your windows are prepared for the monsoons? Give us a call. Your windows are one of the most beautiful aspects of your home, but they are also one of the most fragile. Replacing your outdated windows will not only help you weather the storm this summer, but you can look forward to increased energy efficiency and security—both of which contribute to the value of your home. If you have questions about seasonal window care, call or email XO Windows today or fill out our online form to get a free window replacement estimate. There are plenty of factors to consider when choosing the right windows for your home, including cost, energy efficiency, air flow, and ease of cleaning and repair. Single-hung windows, which feature a bottom panel (called a sash) that can be raised vertically while the upper sash remains stationary, are what we see most often in homes and residential buildings. 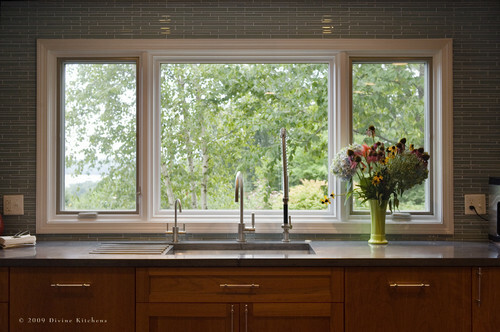 Double-hung windows, which are becoming more popular, feature a moveable lower and upper sash. Let’s look at how they measure up in terms of benefits. For initial installation, single-hung windows will often be the less expensive option, though how much more economical they are sometimes depends on the type of materials used (e.g. vinyl vs. wood). Although double-hung windows may be higher price-wise, when placed in strategic locations these windows will add a unique accent to your home that sets it apart from others in your neighborhood. Other things to consider when calculating price are costs associated with regular cleaning and maintenance (see below), as well as how each style impacts the resale value of your home. In addition to reduced energy usage, benefits of energy-efficient windows include lower heating and cooling costs, less condensation and fewer maintenance issues. While both single- and double-hung windows offer energy-efficient varieties, something to keep in mind is that with double-hung windows there is a greater chance for a poor air seal, which can actually increase energy use. This problem can be avoided with proper installation and the use of quality materials. Because they open at both the top and bottom, double-hung windows typically offer better ventilation than single-hung windows. Lowering the upper sash and raising the bottom sash both about halfway can produce a recirculating effect that increases air flow throughout your home. Here is where double-hung windows shine. If you have ever tried to clean the upper sash of a single-hung window, you know what a pain it can be to have to go outside to reach the exterior. The same goes for repairs and replacement, which more often than not require calling a professional. With double-hung windows, cleaning and maintenance is far easier—especially with newer models that have a convenient tilt-in feature. Also with double-hung windows, DIY-inclined homeowners can choose to replace the upper sash on their own. 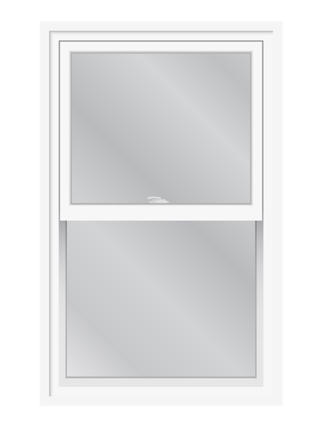 Both single- and double-hung windows offer a safe barrier when installed correctly and maintained on a regular basis. With double-hung windows, you should go the extra step of making sure they are shut properly so that the lock remains secure. For families with young children or pets, a unique benefit of double-hung windows is the ability to open the upper sash and still enjoy the fresh air while keeping the lower sash closed for safety. There’s a lot to think about. XO Windows can help. Whether you are building a new home or replacing your existing windows, XO Windows is the place to start. As Arizona’s largest window distributor, we can help you choose the right size, style, and frame materials. Our expert installers will take it from there to ensure you are absolutely satisfied with your new windows. Call or email us today or fill out our online form for a free estimate! When it comes to new windows, the sky is quite literally the limit! Perhaps you’ve always wanted a better view of the sky — and the rest of the outdoors. 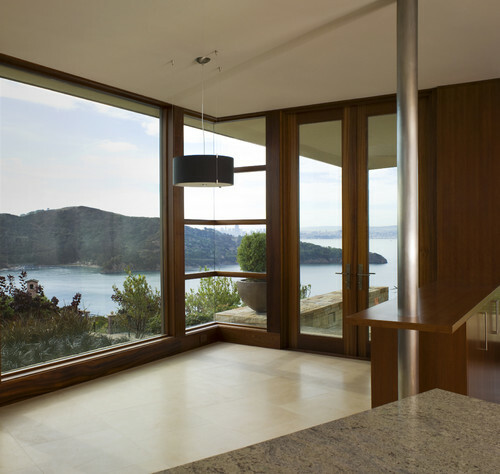 You can get the views you want with beautiful, custom-designed windows. Imagine creating a focal point inside your home with floor-to-ceiling glass panes, complete with an elegant arch at the top. Whatever your heart’s desire, getting the custom windows you’ve always wanted is a great way to start the New Year. Custom windows let there be more light. Large windows are a great option for a finished walkout basement to provide both daylight and a view to a backyard. As an added bonus, now that there’s more light in the basement, you just designed a more inviting room and created extra living space, perhaps for a playroom a home office, or even an extra bedroom. Square is so last year…or is it? It’s still hip to be square when it comes to windows, but maybe you want a little variety in your home, too. When squares just won’t do, think outside the rectangle about decorative triangular windows that add variety to smaller spaces, or an octagonal window that creates a focal point in your breakfast nook. Arches overhead and circular windows add curve appeal to any home, from traditional to contemporary. Find a curve that fits your style and celebrates your home’s unique personality. New, custom windows are more than aesthetically appealing, they also add value to your home. Replacing old windows is an investment you make that increases your home’s overall value, so why not select a layout and design you really like? Adding new windows where there weren’t any before is one way to open up a room, enjoy a better view, or create a unique space. It can mean the difference from liking your home to loving it. XO Windows is Arizona’s largest window distributor. This year, allow us to help you create the home you’ve been dreaming of with specialty windows and custom designs to fit any style and budget. Get in touch to learn about the available options – in all shapes and sizes. Windows are more complicated than they’re given credit for. There are dozens of working parts that go into keeping your windows safe, secure, and functional—the window sash being one of the most critical. Sure, it’s pretty easy to overlook how windows in our home function. But understanding window design can help you diagnose problems early on, recognize when it’s time for a replacement, and even prevent issues from arising altogether. So, here’s what you need to know about the unsung hero, the window sash. First of All, What Is a Window Sash? Well, the window sash is the part that holds the glass panes in place. In other words, the smaller framed part of the window that, usually, slides up and down to open the window. The most common example is seen in double-hung windows, where one sash (framed glass pane) is positioned directly above the other. The bottom sash glides up and down and, often, the top sash is fixed in place. So, Why Are Window Sashes Important? Aside from allowing us to open and close our windows, window sashes can indicate issues arising with your windows. See, it’s imperative to understand how the window sash functions and the signs that it may be time for a fix or replacement. After all, a nonfunctional window lowers the value of your home at best, and is a risk to your family at worst. Most modern homes have window sashes, regardless of the style. We already spoke about double-hung windows, where one sash window is positioned above the other. Traditionally, the top sash was fixed in place, although it is becoming more common for both the bottom and top sashes to be movable. This allows the top window sash to glide down to let fresh air inside the home—which avoids the safety hazard of children falling through open windows. Sider windows, on the other hand, only have one sash and glide horizontally rather than up-and-down. And finally, casement windows open with a crank, therefore only utilize one sash window as well. There is a long list of reasons why you should pay attention to your window sashes, as a faulty sash can result in drafts, leaks, and windows that are distorted or stuck in place. If you have any of these issues, there’s a chance your window sash could simply be repaired; however, older windows may require or benefit from a complete replacement. While the initial cost may be high, your energy bills, home value, and safety add up to a full return on your investment. …it’s always in your best interest to work with a local reputable company. XO Windows is a hugely popular source for window replacements in the Southwest, saving you money and enhancing the appeal and value of your home. If you’re in need of a window replacement, we can measure your window for an exact fit and give you a quote fast. If it’s time to replace that window sash, contact us today. Windows that don’t open? What’s the point? Picture windows are more of an artistic display than a functional, traditional window. They have no moving parts and, therefore, don’t open or close. But believe it or not, this window style has some seriously appealing benefits. 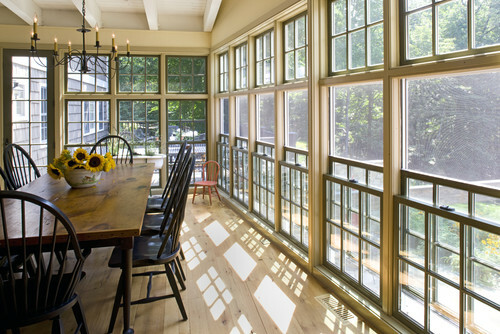 Here are four big reasons picture windows could be just the thing your home needs. Picture windows can be installed almost anywhere, filling otherwise dark rooms with mood-boosting, energy-saving, bright natural light. With a variety of sizes and shapes, these windows are more versatile than most; but don’t worry about any negative implications of sunlight, such as stained furniture or rising temps, with our LOĒ³-340 glass. Who needs to turn lights on when there’s so much natural light filling the room? With tightly sealed edges in conjunction with our LOĒ³-340 glass, energy savings can be expected as well. 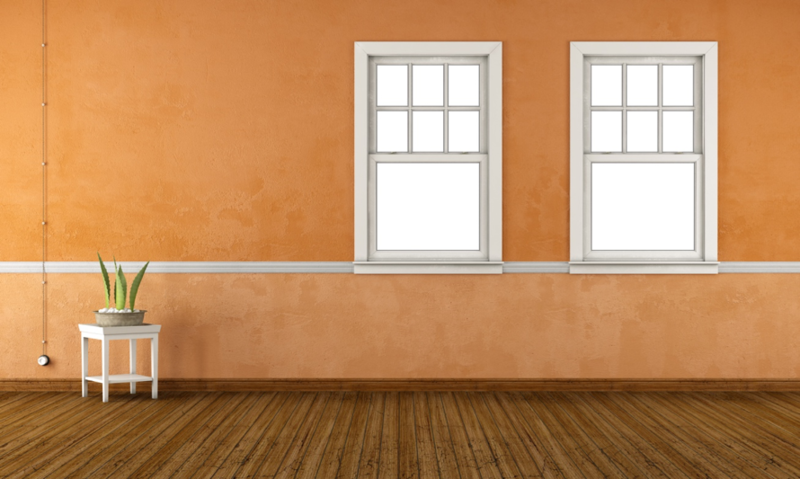 Aside from that, there are no moving parts at risk of breaking and needing replacement; this also means picture windows typically cost less than that similarly-sized, moving windows. 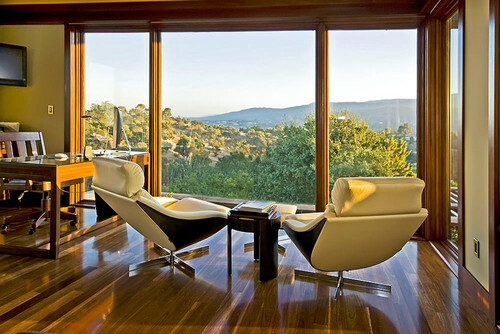 Picture windows can become the main focus of a room, or even your entire home. If you have a stunning backyard, view, or just want to capture the natural beauty of the sky, picture windows make it easy to frame it like art. Not to mention these windows can make your home look bigger altogether, as the lighting and views give the illusion of more space. Without the constant motion of opening and closing, picture windows have a tendency to remain intact for longer than traditional windows. But because these windows are such a focal point in the home, it’s important to keep them clean and sparkling. Otherwise, maintenance is a breeze. Picture windows can give your home the look you’ve always dreamed of. If you’re interested in these artistic windows, we are thrilled to help you find the perfect ones for your home. Accidents happen; sometimes, a broken or shattered window may be the result. And while replacements may not always be cheap, taking care of that cracked or shattered window will actually save you money in the long run. Arizona temperatures are known for rocketing into the triple digits. To combat equally high energy bills, energy efficient windows keep cool air sealed in and hot air out. With broken, cracked, or even inefficient windows, your home will be uncomfortable and your energy bills will continue to be high. South and west-facing windows are particularly vulnerable to the intense sun, and will be the most important to replace. If selling your home is a possibility in the near future, a broken window could have a drastic effect on the value of your home. What could have easily been replaced for under a few hundred dollars could end up affecting the amount of money you receive for your home by a couple thousand. Appearance is everything in the buying and selling market of a home, and a broken window sticks out like a sore thumb—having the ability to change a potential buyer’s opinion before they even call a realtor. Besides the money wasted on your monthly energy bills, broken windows always bring the risk of a serious injury. A home with children or pets particularly can’t afford the risk of a fall or cut from shattered or weakened glass. Not only is this dangerous to those who live in the home, but a visit to the emergency room or doctor’s office will not be a cheap outcome. 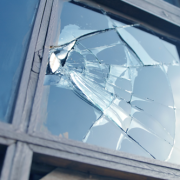 Waiting to replace a window with broken glass also puts your home interior at risk of damage and break-ins. Outside weather can quickly damage your walls, floors, and furniture, and a broken window is an easy-in for intruders. Whether a window is shattered, or simply inefficient, it’s time for a replacement. You can’t afford the expensive consequences of a damaged window. At XO Windows, we have a wide selection of energy efficient windows to fit your home and your budget. We’ll help you through every step of the process, until your home is safe and efficient again. Contact us today for more information on replacing your windows.